Thank you for visiting Jewelry Making Blog. Do check here regularly. This is the place to find out when any updates are made to this site. Jewelry Making Blog will bring you all the latest news on the craft of jewelry making. Continue reading "Rings That Are Uniquely Yours"
Continue reading "Pink Swarovski Crystal Earrings! Need Them Fast?" What pearls are these? Natural, cultured or imitation? Know the difference & care for your them. 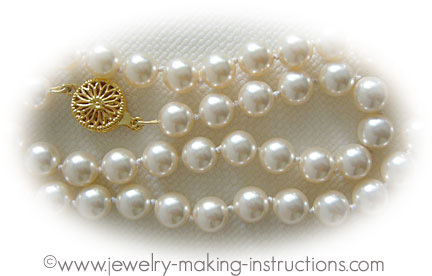 Continue reading "Pearls - Rings, Necklace & Pendants - Cleaning Instructions"
Continue reading "Basic Rules for Making Earrings"
Oriental lotus bead pattern to make an oriental bracelet. Continue reading "Lotus Bead Pattern"
With these jewelry making supplies, you are ready to embark on making your first piece of handcrafted jewelry. Continue reading "Basic Jewelry Making Supplies And Tools"
Search Jewelry Making Instructions Sitemap to easily find anything within this site. 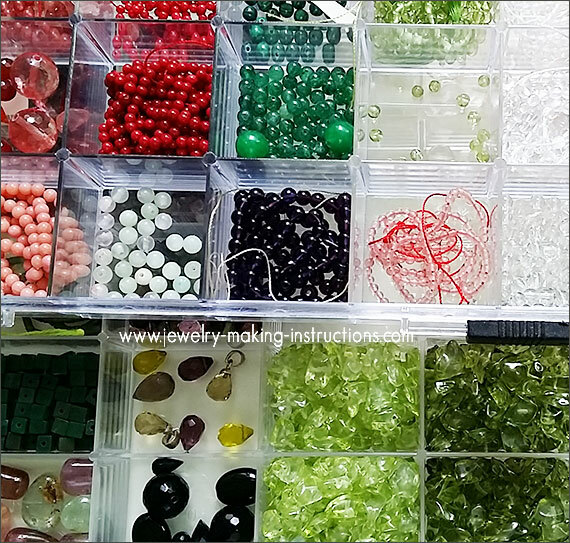 Continue reading "Jewelry Making Instructions Sitemap"
Jewelry Making Parties - Step-by-Step Instructions for Organising Kids Jewelry Making Get Together. 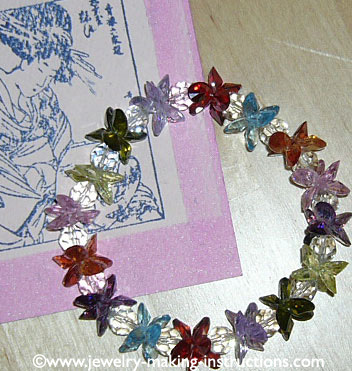 Continue reading "Jewelry Making Parties for Children"
Jewelry Making Instructions For Making Your Own Unique Jewelry. With these jewelry making instructions, you will be able to make your own designer jewelry like pendants, necklaces, bracelets, and earrings. 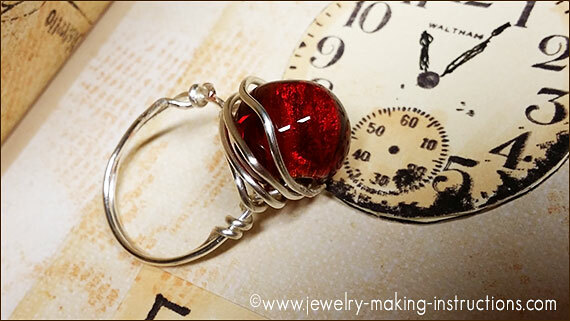 Continue reading "Jewelry Making Instructions For Making Your Own Unique Jewelry." 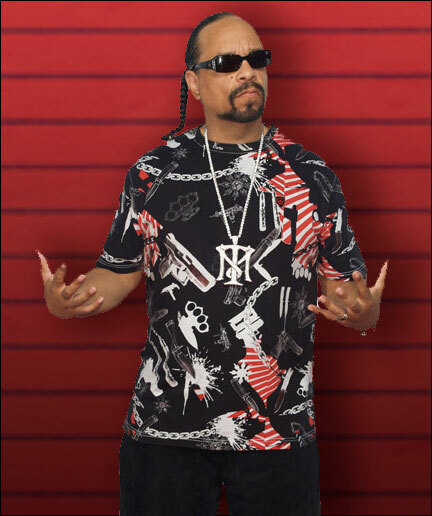 Hip Hop Jewelry - Bling bling jewelry or ice out jewelry - whatever you call it, it's all about the Hip Hoppers' fashion statement. Continue reading "Hip Hop Jewelry"
Make this hearts anklet to adorn your beautiful ankle. It's light and comfortable to wear and looks great on your feet. Continue reading "Romantic Hearts Anklet To Adorn Your Feet"
Here's a Faceted Green Fluorite Quartz Bracelet You Will Love To Make And Wear. 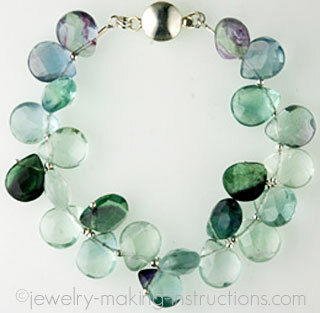 Continue reading "Green Fluorite Quartz Bracelet"
Glass beads bracelet that truly beautiful. Using black, grey, orange and purple glass beads and seed beads, this beaded bracelet just looks great on any wrist. Continue reading "Multi-colored Glass Beads Bracelet"
Continue reading "Gemstones - Meaning / Precious & Semi Precious"
Learn to make these beaded drops and use them in making bracelets, necklaces, dangling earrings, and pendants. 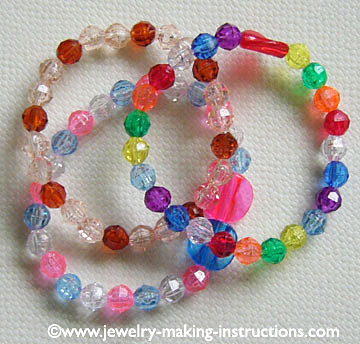 Continue reading "How To Make Beaded Drops"
A Bracelet That's Different From All Others. Make a unique bracelet; an original creation that will stand out anywhere. Continue reading "A Bracelet That's Different From All Others." 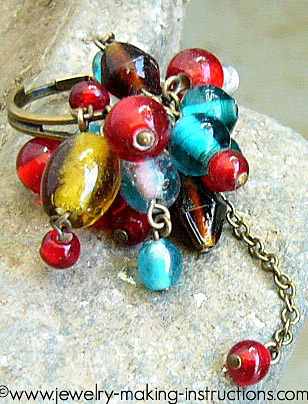 A Bohemian ring I created using Indian beads and an adjustable copper ring. Continue reading "Bohemian Ring I Made Myself"
Know the birthstones and give jewelry gifts according to the recipient's stone of his or her birth month. Continue reading "Birthstones - Lists of Gemstones For The Month Of Birth"
Beaded links are basic essential jewelry making supplies for making your own jewelry. Here you will learn how to make your own links. Continue reading "How To Make Beaded Links"
Base metal charms for making bracelets and other jewelries and how to use them. Continue reading "Charming Base Metal Charms"
Trendy anklets are a hit with the modern women. Look at these ankle jewelries! 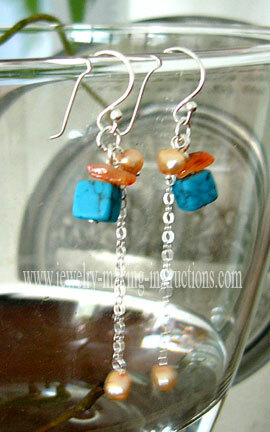 You can easily create them with minimum jewelry making tools and supplies. Continue reading "Anklets Are Not Just For Children"
List of Wedding Anniversary Stones to print out. 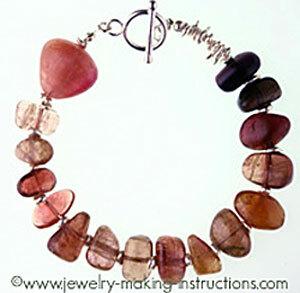 Continue reading "Wedding Anniversary Stones"
Make this watermelon tourmaline bracelet. 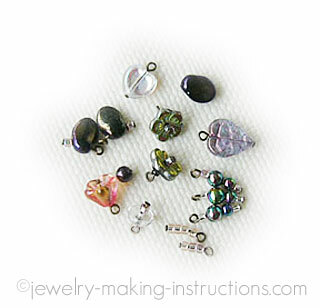 Step by step instructions for making this gorgeous piece of gemstone jewelry. Continue reading "Watermelon Tourmaline Bracelet"
Turquoise jewelry you want to make. 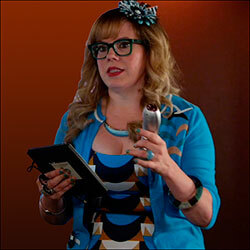 Also brief introduction about turquoise and how to care for this blue gemstone. Continue reading "Fascinating Turquoise Jewelry Collection"
Make this turquoise jean jewelry and let this lovely turquoise jewelry dangle from your hip. Continue reading "Turquoise Jean Jewelry To Wear With Your Jeans"
Turquoise earrings that looks simple but can certainly enhance your look. A quickie one to create if you need a pair in a hurry. Continue reading "Simple Turquoise Earrings"
These turquoise dangling earrings can make such a difference to your appearance. It's inexpensive and easy to make too. 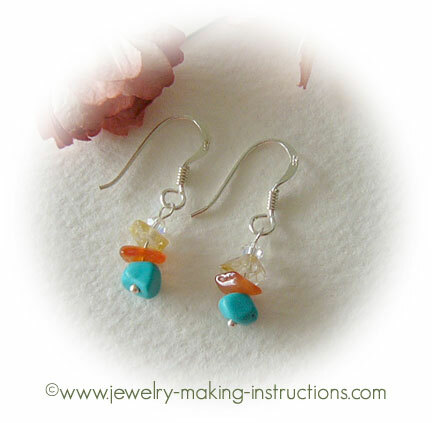 Here you'll find instructions on how to make your own turquoise jewelry. Continue reading "Fashionable Turquoise Dangling Earrings"
Continue reading "Swarovski Crystal Beads"
Pair of Swarovski crystal beads earrings that is simple and quick to make. Continue reading "Swarovski Crystal Beads Earrings"